Hi, this is my 1st Samurize desktop, hope u like it. It's a simple one, like i want it for me. 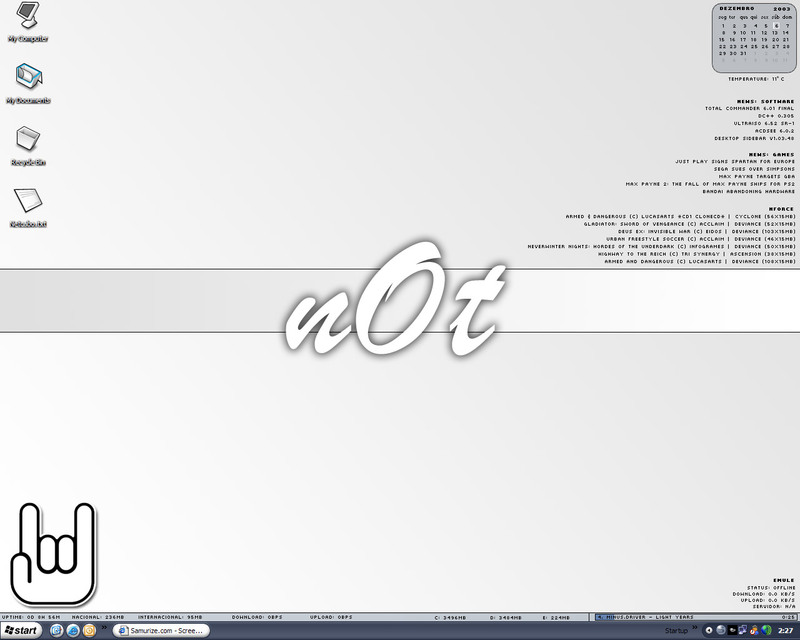 Theme from www.grayhaze.com for Windowblinds. what font is that bro? what font is that? please tell me by private message..
Oh, I forgot the icons :? Nice and clean, I like it. Now, tell me where I can get my hands on those desktop icons! Yep, best part about it is the icons.